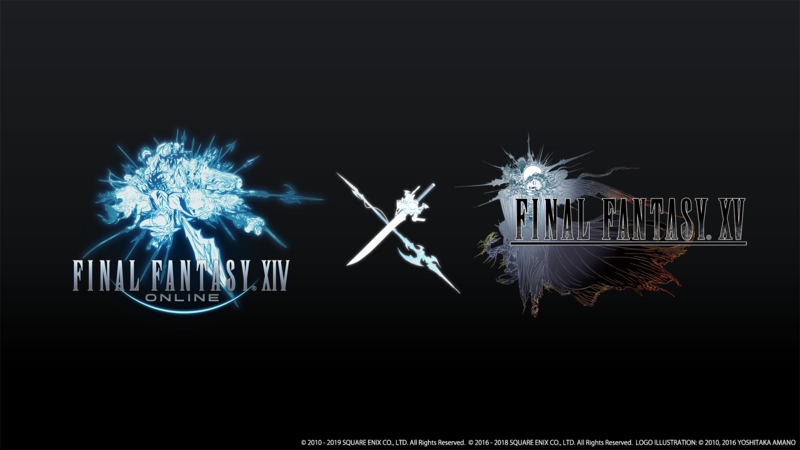 Following up the Keynote and other panels at the Tokyo Fan Festival, Final Fantasy XIV Producer and Director Naoki Yoshida delivered the 50th Letter from the Producer over the weekend, detailing the schedule of what’s to come in the following months prior to the release of Final Fantasy XIV: Shadowbringers. Patch 4.56 is now live and includes the final installment of main scenario quests to finish the Final Fantasy XIV: Stormblood expansion. The story focuses on the Warrior of Light’s encounter with Zenos on the battlefield, as well as their calling to travel to The First shard. Alongside the main scenario quests, various side quests were also expanded on, including beast tribes and Hildebrand story. Final Fantasy XIV will be introducing two new Data Centers in the NA and EU regions in the month of April. For a period of two weeks, players will have access to a free transfer window to organize themselves to the servers they wish to be on. They will begin with the introduction of the “Light” Data Center in the European region on April 2nd and concluding the free transfer window on April 15th. The North American Data Center, Crystal, will be implemented on April 23rd and free transfers will be open until May 6th. The World Visit system will also be launched on April 23rd and will allow players to visit other servers on the same Data Center, making it possible join up with other friends and tackle open world content like treasure maps. 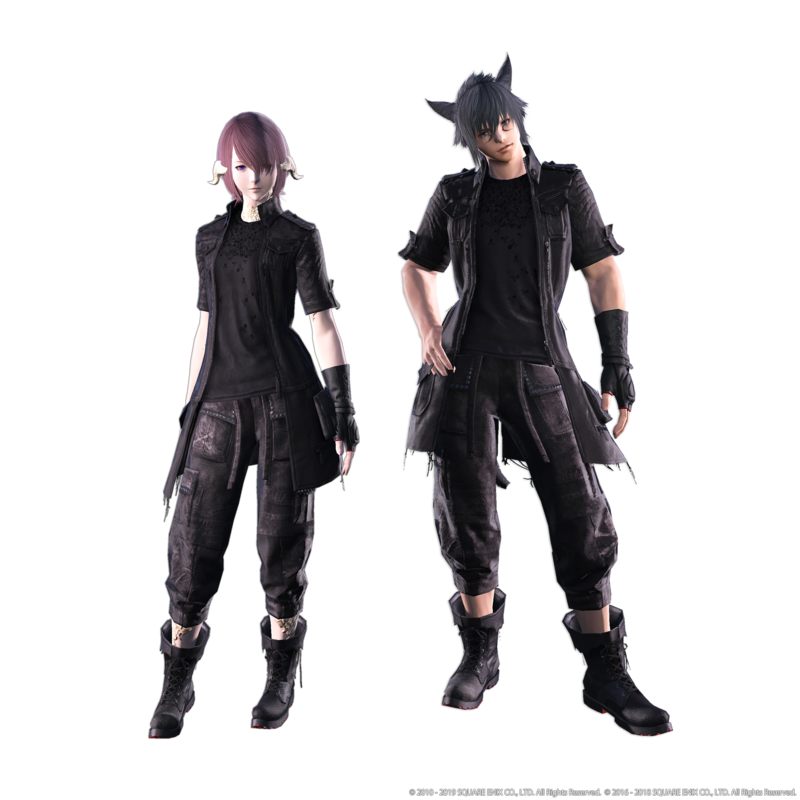 The much anticipated cross-over event between Final Fantasy XIV & Final Fantasy XV will finally come to Eorzea between April 16th and May 27th. 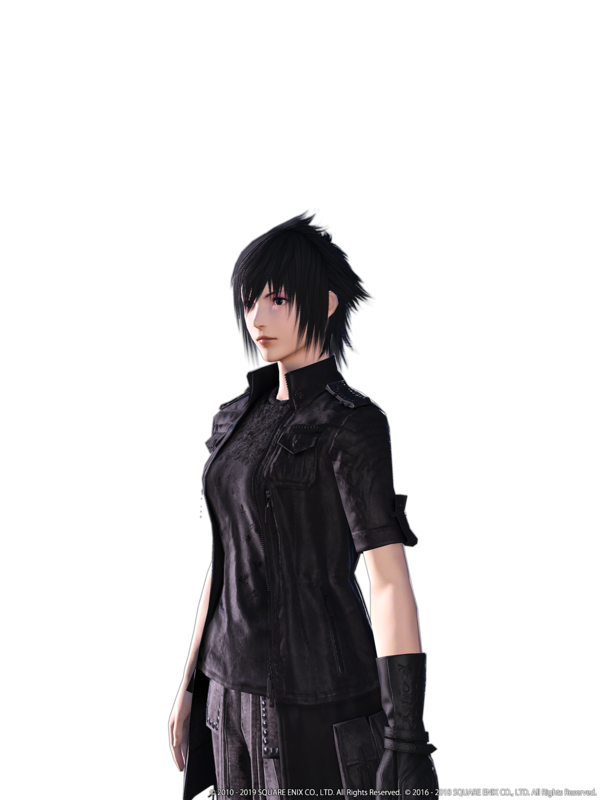 Titled ‘A Nocturne for Heroes’, the fateful meeting between Noctis and the Warrior of Light will reward avid fans with hairstyles, armor and the game’s first four-person Regalia mount. Yoshida-san told players not to be too worried about the content, as the items won’t be difficult to get. 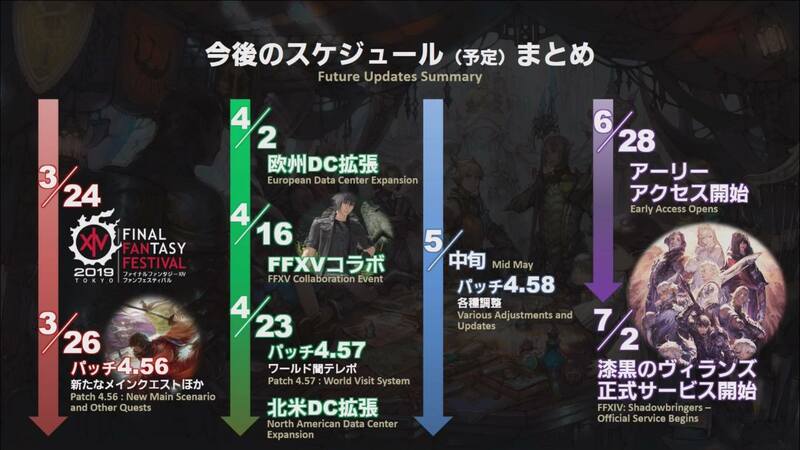 Whilst the following month may seem empty in the schedule, Yoshida-san reminded us that there will be a lot of new information and details about the expansion coming out from media tours, such as a job adjustments preview. 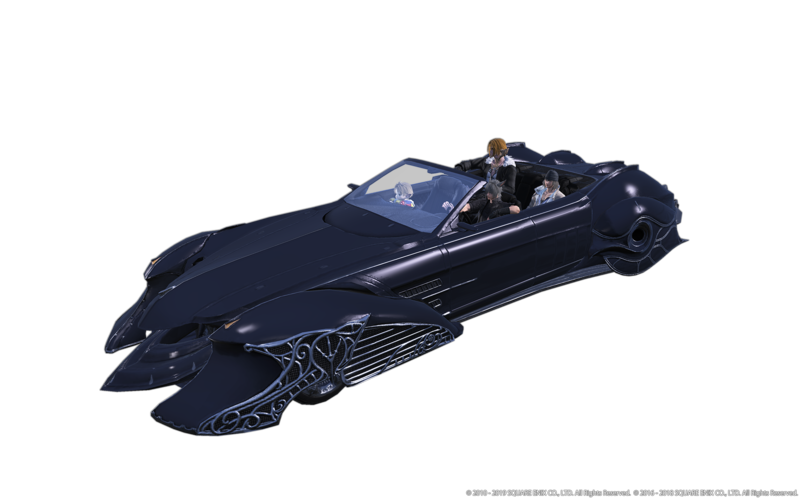 The Final Fantasy XIV: Shadowbringers’ benchmark is also expected to land during this time, and Patch 4.58 will also be scheduled for Mid-May, which will see various adjustments/updates for Final Fantasy XIV: Stormblood content. Finally, Early Access for those who have pre-ordered Final Fantasy XIV: Shadowbringers, begins on 28th June at 2.00am PDT. As before, Yoshida-san will be doing a patch note reading during the maintenance. The full release and official service for the expansion launches on Tuesday July 2nd. Following the Live Letter, Banri Oda joined the Yoshida-san and Foxlon to discuss the various processes that go into writing and creating the world of Eorzea, answering questions sent in by fans. Q1: What is it exactly that a Main Scenario Writer or World Lore Creator does? A: Being responsible for both the writing of the main scenario and creating the world lore, you have to think about all the rules when creationg the world. I have to create and check all the documentation for quests to make sure they follow lore with all the naming and flavour text. Things such as FATEs, journal text and additional help text is created by the writing team, and as the lead Main Scenario writer, I come up with the ideas for my team to write and check their work. Right before the patch begins, Yoshida-san and the writing team go to a hotel for a retreat for 2-3 days and talk about how they’re going to create the story. Q2: Where does inspiration for MSQ and story come from? A: I like to read a lot of fiction and non-fiction books and am interested in history. I watch a lot of documentaries such as those on National Geographic, so depending on the content, I gets inspiration from a lot of different sources and not necessarily just one genre. The Namazu, for example, were inspired from by a book from the mid 1990s called Ahou Ressha by an author named Hyakken Uchida. I really like a lot of fantasy and history novels. Q3: What constitutes a day in the life of your job? A: It starts off with checking the mail. We all do that. From there, we work with the development team for whatever they need help with. If it’s the beginning of that patch schedule, we begin thinking of all the ideas that are going to be the core concepts of that patch and lay the groundwork for it. After that, we start creating data and I do my checks on those things. Everything that is finalised, I can go and do my final checks for. In between all that, I spend a lot of my time writing a lot of text. I work closely with Yoshida-san to do a lot of these checks and we have a scenario team meeting every week. Yoshida-san is always at those meetings. There are constant checks through the process, so it’s not like we have to report to Yoshida-san at a decided times every week, so it’s only when something comes up that we seek him. We know when we hear the loud sound of boots from behind us that Yoshida-san is coming our way and he has something to say. There are times where he doesn’t where those boots so we don’t know that he’s coming. We have requested that he wears those boots so we can prepare ourselves! Q4: Are there any books or movies that have inspired you in the past or that you would recommend to the Warriors of Light? A: There are a lot of things. The Legends of Charlemagne by Thomas Bulfinch is one particular text I drew from. It is a compilation of stories from England and France that were stuck together to make a story about Charlemagne, and though it’s not very popular in Japan compared to Arthurian legend, I really enjoyed it and got a lot of inspiration from that. A lot of names for weapons came from this and I often use it as a source. Q5: What Final Fantasy XIV character or storyline has left the biggest impression on you? A: I don’t want to talk about my favourite characters specifically, because I don’t want to show favouritism to a particular character. One particular scene I enjoyed working on was the instance in Patch 4.3, where players get to control Alphinaud. I really enjoyed creating that and working with the programmers to actually get that to work since it was something we had not done before. Up until that point, it was difficult to show events and story that the Warrior of Light was not involved in. By adding this type of new system, we can now show parts of the story even if the Warrior of Light is not going to be there. It was something that we really wanted to do, but we had to confer with Yoshida-san and ask for his permission since there were no rules about playing as other characters. Another scene that made an impression on me was the end of the Namazu beast tribe quests, where the screen splits into 4 panels. To create that, it took a bit of imagination. Sometimes you see static pictures, but they are actually not static. They actually fall into the same category as special effects, like sparkles. We created an effect that makes it look like a static picture. In the Namazu quest, one of the panels also has the player there, but it’s supposed to be static. We actually had to create a blank, empty environment with the player character in there and then on top of it we placed the special effect of three different Namazu pictures. It looks like there are four screens, but it’s actually just one screen with this effect on it. Doing these kinds of creative things isn’t often considered for main scenario because we want to take it seriously, so we test these mechanics and features on side quests to see if they work. Since we succeeded in that effect with the Namazu quests, we may now consider adding that effect to other features, like Mahjong. Q6: I have heard that there are retreats to hotels that you go to with Yoshida-san and other writers. Can you tell us more about what is discussed, what you eat and if the hotels are nice? A: The hotels we stay in aren’t exactly ‘nice’. It is just a building with a window and a whiteboard. There’s hardly any light in the room. Maybe that was to inspire us for Shadowbringers. No light! We spend that time talking about what kind of new characters, enemies and stories we’re going to add. In the retreat we did before 4.0, we worked out details up to about Patch 4.2 and decided on an ending for that arc of the story. We eat out at normal places. We were once caught by fans when we went to a Ramen restaurant who was amazed that Yoshi-P was eating ramen. 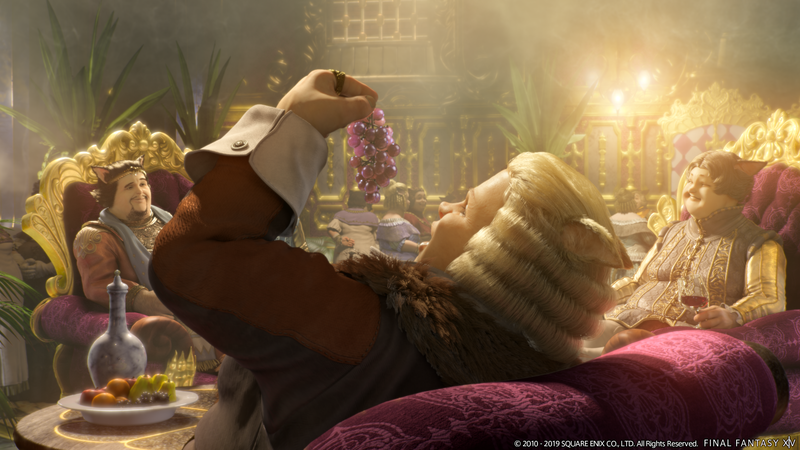 We would like to go to fancier retreats sometimes, but they must be considerate of both male and female staff members being together, so most places that are considered ‘romantic’ aren’t viable. Q7: If the Ascians were to resurrect Zodiark, exactly how bad will it be for Hydaelyn? A: I can’t say exactly, but my hint for you is that the definition of bad depends on from whose perspective. The world has split into 14 pieces and is unstable. It has incurred the wrath of the gods already. Some people will feel it is terrible for the Rejoining to occur and others will see it is as a great situation. Shadowbringers will aim to answer a lot of these questions. 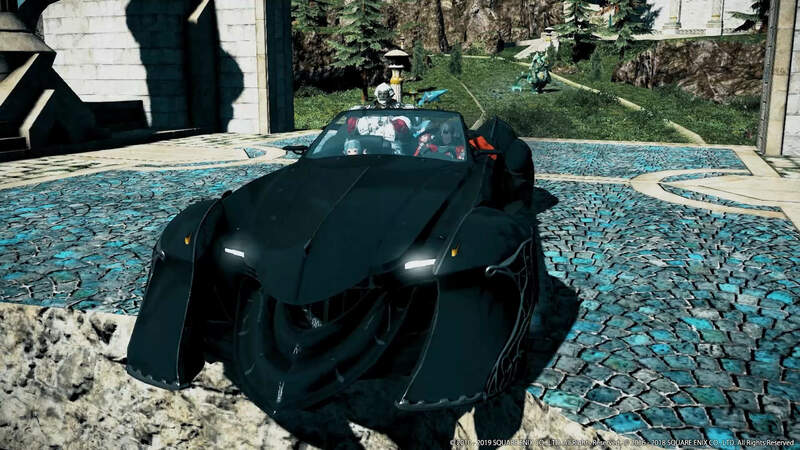 Final Fantasy XIV tries to keep things grey, so there is no clear right and wrong. For example, the Garleans also were doing what they thought was right, but Doma was on the other end of that. In 5.0 there will be a lot of characters who you may relate with and others you may disagree with, depending on your perspective. Q8: After the battle of Carteneau, the Warrior of Light is transported 5 years into the future. Why was it a 5 year period, and does the Warrior of Light remember that time period or is as though it was yesterday for them? A: Louisoix’s spell doesn’t send them to a certain point in time, but instead to a safer time and place. Knowing the destruction of the calamity, the spell itself determined 5 years was enough time. Whether the Warrior of Light feels like it’s yesterday or 5 years ago is up to the player. Q9: The truth about Eureka was pretty surprising. Did you guys have this planned out for a long time ago? A: Introducing the Island of Val was planned, but what we were going to do with it was all made up when we made Eureka and a lot of it came from Yoshida-san. When we were planning out the 5.0 story and deciding what would happen with the Crsytal Tower, all ideas were being used there. But we had two things left over – Eureka and the Isle of Val. Yoshida-san suggested we use them for this content and explain both of them within that story. There are a lot of storylines even from 1.0 that never had a conclusion, so it is my job to find those loose ends and tie them up when possible. Q10: How far along is the Shadowbringers storyline and can you tell us anything without being killed by Yoshi-P? A: I can’t say too much, this guy next to me is giving me looks! As for how much we have written, I think we have about 80 – 90% written. We have a lot of sidequests and unlock quests that we still need to do, and it’s I need to check all those things and make sure they fit. 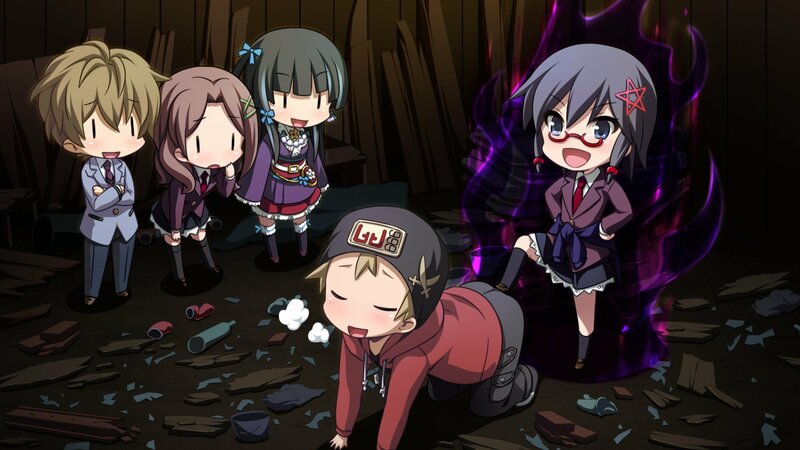 All the voiced scenes are done, however, and all the quests that connect them are more or less completed. We’re just finishing the final chapter of 5.0 that needs to be polished and completed before release. At the end of this month, Yoshida-san will be checking instanced dungeons, and then next month he will be checking main scenario and subquests. Q11: In Heavensward, Estinien says that his blood is more than half dragon blood. Is this true and the reason he was able to destroy the cannon at Castle Abania all by himself? A: This is more just an illusion. He does not actually have dragon blood but has drawn so much aether from Nidhogg’s eye that he is starting to feel the effect of it. But it is not actual blood and it is this power from Nidhogg’s eye that allowed him to destroy the cannon. Q12: Are the NPCs birthdays decided? If they are, can we know them? A: This depends on the writer of that character. Some writers put a lot of detail about their characters, but as for myself, I don’t really focus on this since it’s not as important as something like their age. Yoshida thinks it is important but it can become complicated to put the story on a timeline and also translate in-game time to time in our real world. Q13: When Final Fantasy XIV characters are used in other games and media, do you check their dialogue and actions? A: Yes. As World Lore creator it is part of my job to check these things. However, it is really good when the creators of these other games are Warriors of Light themselves, and they often know a lot more about the lore than me! When I checked the story of Dissidia Final Fantasy: Opera Omnia for example, I can see that the writers for the dialogue have played Final Fantasy XIV a lot. 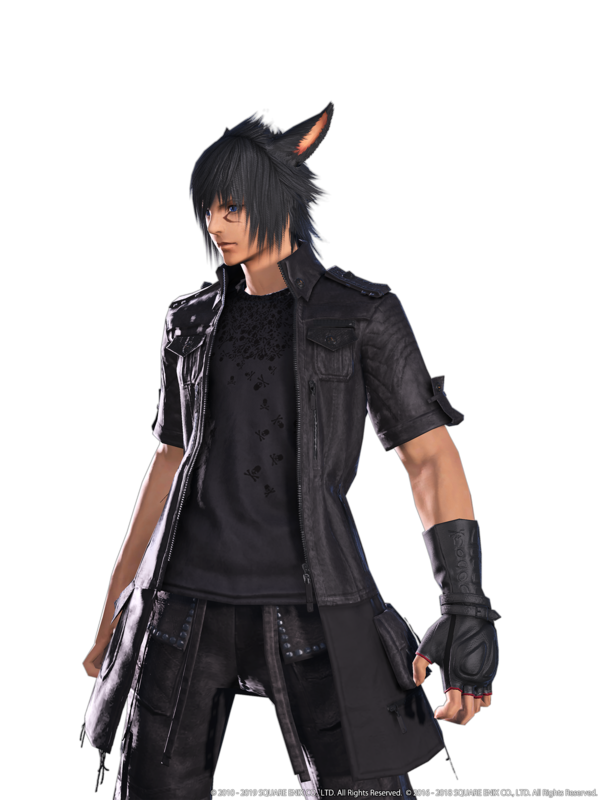 Since Final Fantasy XIV is an ever-changing world, the writers for Dissidia had obviously seen how the character changes throughout the game and incorporated that into their story. When companies come to seek collaborations, they are always well prepared and discuss ideas about what would be possible. Q14: What does a young Roegadyn look like? A: I also play a Roegadyn as well and I’ve been wondering the same thing. I’ve wanted for a long time to create a Roegadyn child, but we prioritised Miqo’te and Au Ra children. It really depends on the development cost for when we can do this, bu I won’t give up because it is something I want to see in the game. Yesterday we announced the Sin Eaters and people saw that and thought “The Roegadyn on The First are the Sin Eaters?” because they are very pale, white and muscular. Of course, that is not the case! Q15: Yoshida-san previously said that Au Ra rub their horns together as a sign of affection. Is this true? Can we make it official? Oda: That is more something Yoshida-san has to decide. Yoshida-san: Is that true? Is it okay to do that? Someone asked me if the horns get in the way so I made up an answer but if Oda-san approves it then we can make it official. Q16: There is some strange lettering on some of the Monk and Scholar gear in the Omega raids. Is this language used on Omega’s home planet? What does it say? A: I don’t want to give a definitive answer and would rather leave it open. It could be. It could be a language he learnt on his journey or the language of an enemy he created in the Interdimensional Rift. I want to leave it open for the players to wonder about. Q17: How does the lore explain the Duty Finder? A: How do we explain a boss being alive in a dungeon again? We simply don’t. It’s part of the system and so it could be like you’re experiencing it again. It’s for quality of life, so I don’t focus on backstory for these things. I feel it’s unnecessary. Q18: Where is my chocobo coming from when it’s summoned? A: Again, once you start talking about these things, there are a lot of other questions that come up. How do I hold all this inventory? Where do my mounts come from? If you like to roleplay, you can decide these answers for yourselves. Maybe your chocobo can be always hiding behind a tree behind you. Yoshida-san suggests that the chocobo could teleport to you! Q19: I always thought the New World was a place that was impossible to get to, but in the Blue Mage quest we learn that people come back and forth there all the time. Why can’t the Warrior of Light get there? A: It’s not completely inaccessible but it’s not easy to get to. If you think about the Far East, it was always there but it was not easy to get to. If an easier way to get there opens up and is discovered we’ll maybe be able to go to the New World someday as well. Now that we’ve talked about it in-game, I do want players to be able to go there someday. Q20: The might of the Imperial Army was on display in the Ghymlit Dark. Against a foe so powerful, why didn’t the Eorzeans get their asses handed to them? 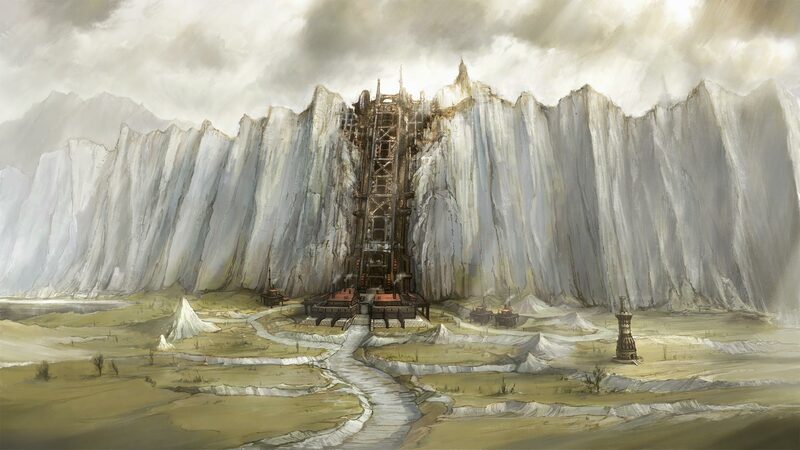 Why haven’t the Garleans been able to conquer Eorzea? A: If you look at our trailers, Eorzeans are often shown to have amazing abilities. Dragoons can jump really high, and Black Mages cast powerful spells. Garleans do not have these abilities and cannot control aether, so they rely on magitek. Eorzeans are powerful in their own way, and thus it becomes a struggle between technology and magic. Afterwards, several announcements were made. 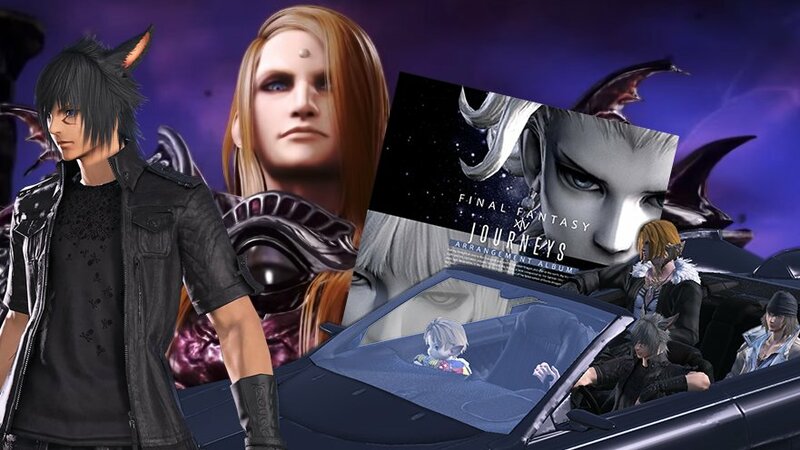 It was announced that Zenos would be coming to Dissidia Final Fantasy NT for PS4 and PC on April 11th. 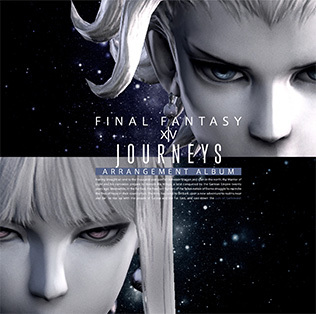 A new Final Fantasy XIV arrangement album titled ‘Journeys‘ was also announced and is releasing on June 19th. This Blu-ray music disc will contain 18 songs (and extra bonus tracks) featuring music with The Primals, Piano arrangements from Keiko, and vocals by Susan Calloway. It will have a bonus code included for two Orchestrion Rolls. Lastly, they announced a movie version of Dad of Light which is set to release in Japan on June 21st.